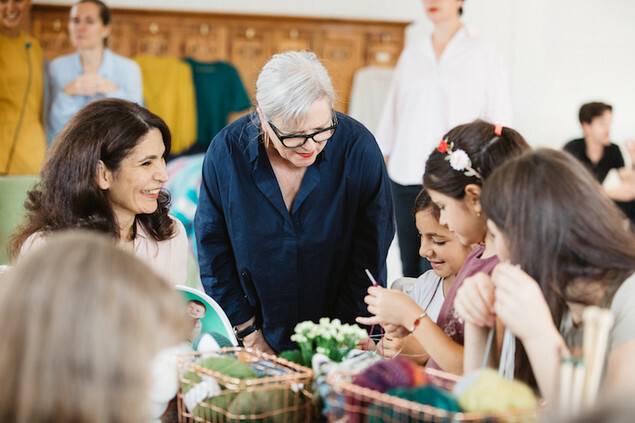 Knitting is more than making fabric with two needles and yarn, it is the magic that happens when a knitter creates a story from start to finish. The yarn, the needles, the cast-on; the feel of the fibre, the intricacies of the pattern; the sewing up, the giving, and the wearing. There is magic in every click of the journey. 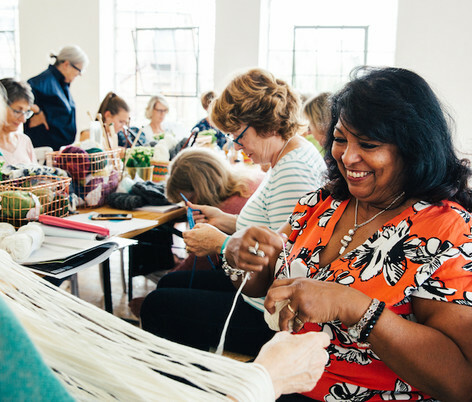 Whether we knit for ourselves, friends and family, or for people we don’t know, we pour love into every stitch. 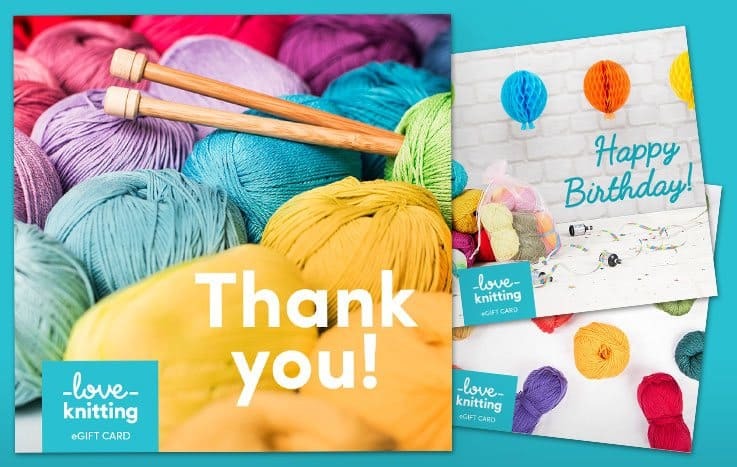 To celebrate Debbie Bliss joining the LoveCrafts family, we’ve launched a campaign to hear your knitting stories. 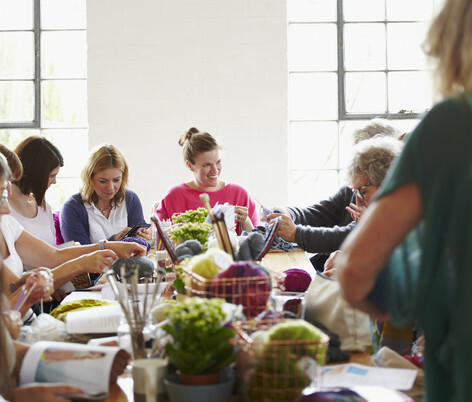 Debbie is a passionate supporter of crafters knitting together, and there’s nothing she likes better than being part of a community of knitters. 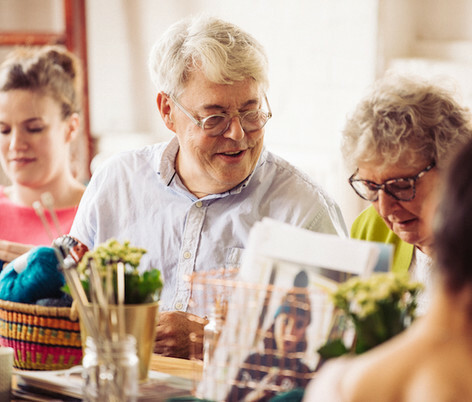 We asked our incredible community of makers, from every-day knitters to occasional hat makers, from grannies to grandchildren, designers, friends and family - why do you knit? We hope you’ll enjoy hearing their journeys as much as we did - and we’d love to hear yours! 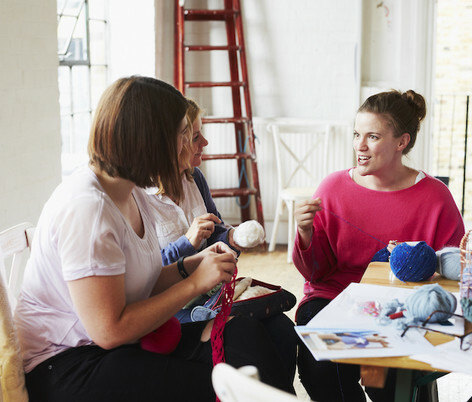 Meet the wonderful knitters that came to share their stories with Debbie for our Why I Knit campaign. 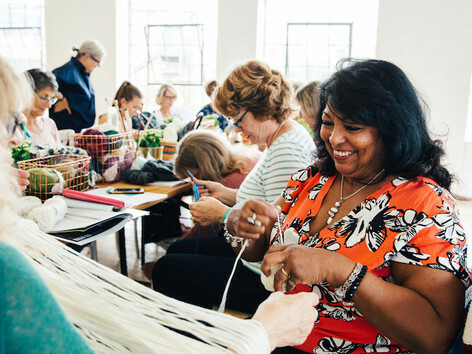 They are inspiring, beautiful and humbling - knitters of all abilities, from different backgrounds and countries. 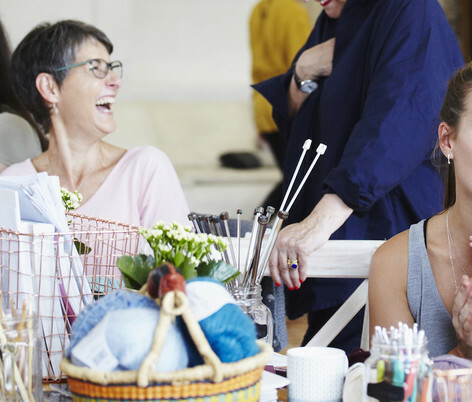 They brought with them projects that they loved, made from their favourite Debbie Bliss yarn and patterns. 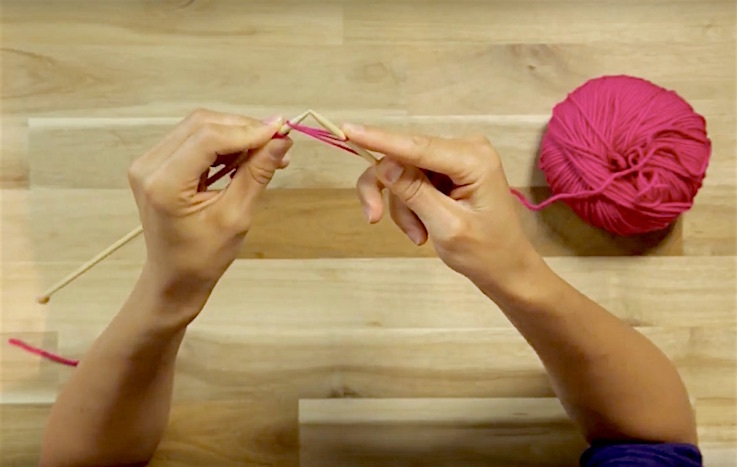 For Celia, nothing gives her that warm fuzzy feeling like knitting. It's the feeling you get from the moment you start choosing what to make, to the moment you start seeing it being used. 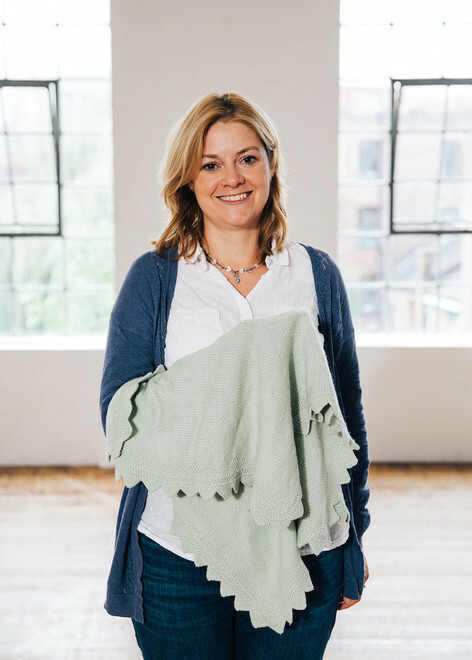 This is Celia's story of the blanket she made when her eldest child was born, and rushed straight into intensive care. Knitted in Debbie Bliss Baby Cashmerino, this is more than a story of a blanket, it's the story of how knitting can provide a precious piece of comfort when it's needed most. 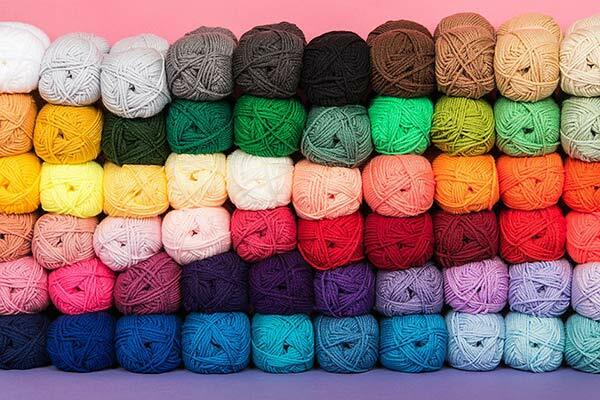 There is nothing else I’ve done that gives that same lovely warm fuzzy feeling...that's why I knit." 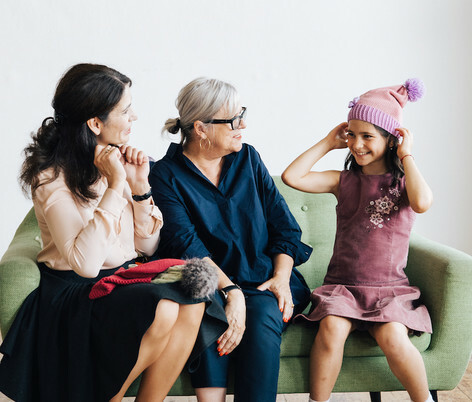 Learning to knit as a child is a life-long gift, and Chloe's first experience of knitting showed her that perseverance brings success - when it clicked, it clicked forever. 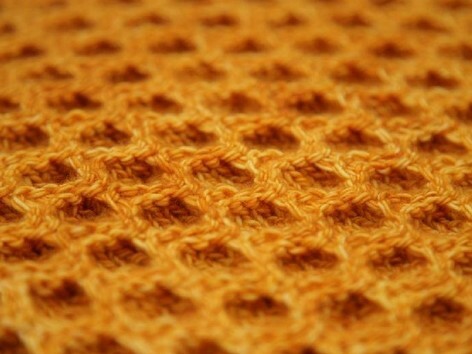 Now she loves the fact that even with the same pattern, and same yarn, every knitter's results are unique. 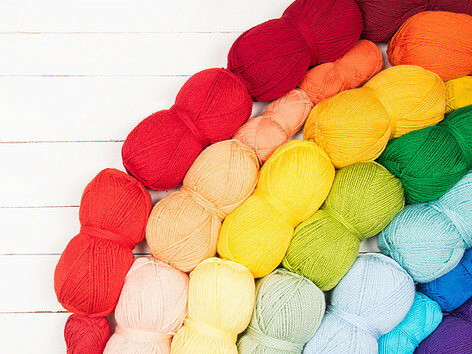 Stacie and Stefanie confess that since they caught the knitting bug, they can't stop starting new projects and stashing new yarn! 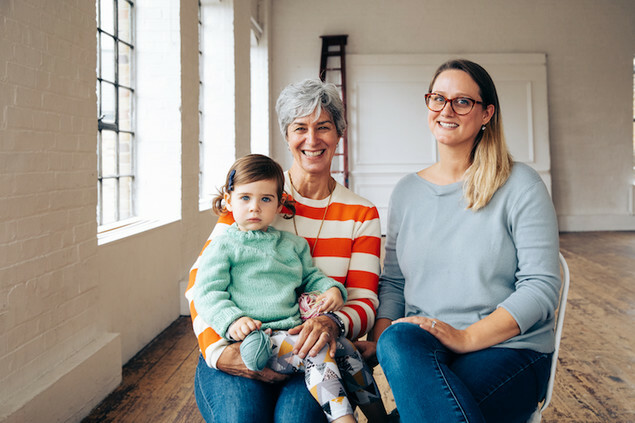 Stefanie's friend taught her to knit on a train - and we have no doubt that little Violet will be knitting as soon as she is old enough. 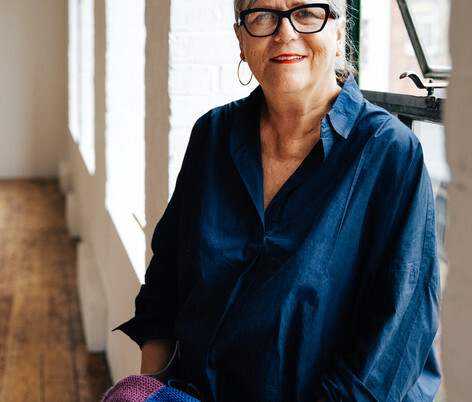 Debbie loves knitting, particularly hand knitting, and she has great regard for the historical aspect of skills and stitches passed down through time. She loves designing things for women to wear that they feel comfortable wearing, and that flatters their silhouette. Follow us on Instagram or Facebook and share your own #whyiknit story. 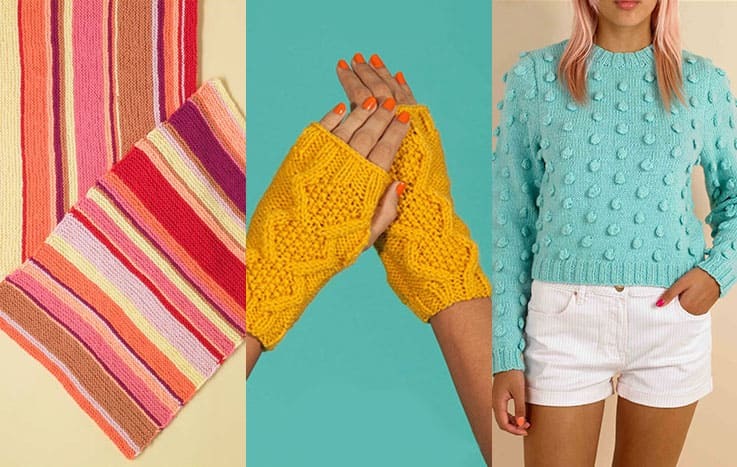 Knitting (v) (nit-ting), to knit: to create fabric with two needles and yarn; to make, to give, to share, to soothe, to comfort, to warm, to love...."
Competition: Win $150 worth of Debbie Bliss yarn!